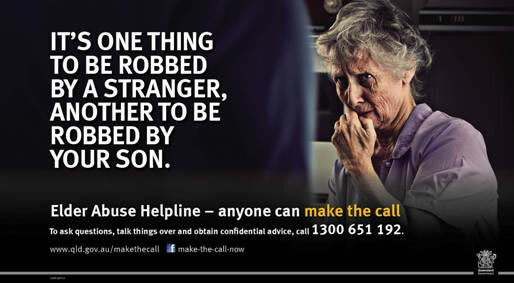 Elder Abuse Awareness poster from Australia. Hmmm. Before launching into the heart of our page, we'd like to pose a question. We don't have an answer to this question—yet. It does most definitely deserve an answer. Where did €62,800 come from and where did it go? 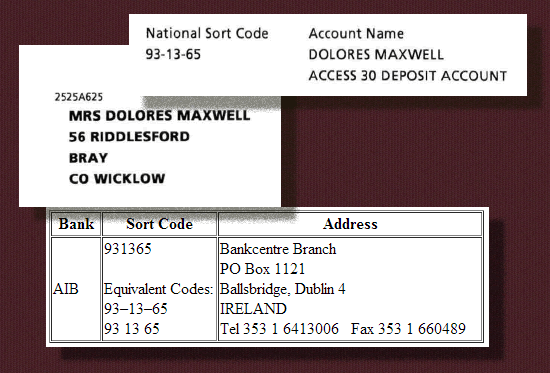 This was used as an initial deposit into an AIB account that was opened under the name of “Dolores Maxwell” a little over a year after Dolores' husband Cecil died. So curious. Where exactly was this account? Forgive us, that's a little bit disingenuous. We've had the answer to that question for some time now. That account was in a pretty convenient location for Dolores to access her money. 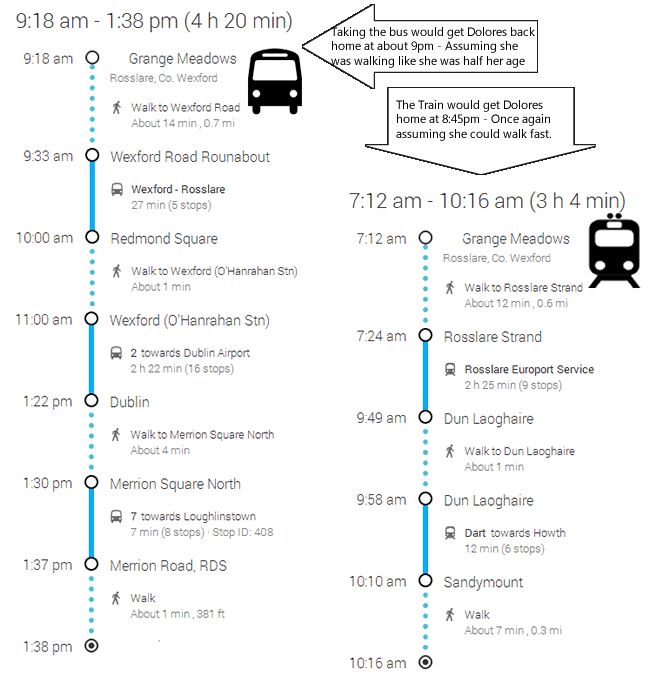 And she had any number of ways to get there. OK, fine. Public transportation (although free for Dolores) was maybe a no go. She could always bum a lift or stick out her thumb. With a little luck, it would only take about two hours or so to cover the ninety three miles to her bank. No. Obviously, it would have been extremely difficult for Dolores to access this account. We can't imagine why Dolores would be compelled to open a new account so far from home. What the…? That's the AIB location, that's Dolores' name, but what is Ethan Maxwell's address (at that time) doing there under Dolores name? 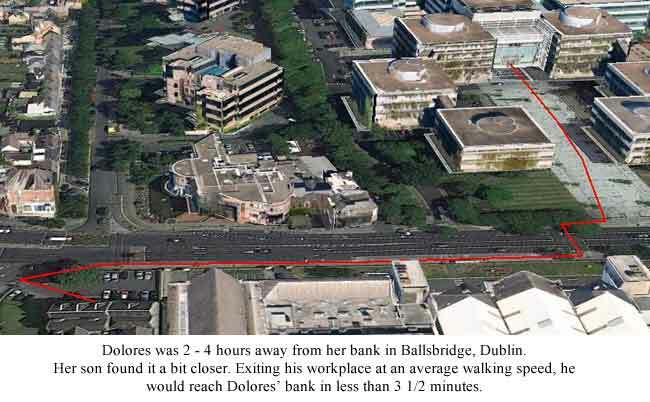 Admittedly we do not have a comprehensive record of Dolores' financial accounts, but the documents we have seen offer nary a speck of evidence to suggest that Dolores ever actually had access to her account in AIB. This little excursion we've taken into a tiny bit of the peculiar financial landscape that overshadows the last few years of Dolores' life is not at all unconnected from the main subject of our page. And we have just a boatload of these sort of financial, um, curiosities to publish and explore in the near future. Saoirse Maxwell learned of letters sent by Joe Bowe and Managing Partner John White of Beauchamps Solicitors on Friday 12 December 2013 that were disseminated to her siblings. These letters were in response to correspondence Bowe and White received after the publication of The Unfortunate Letter on this website the day before. As a liable partner of Beauchamps, I feel it is prudent to inform you of letters sent to my brother by Joe Bowe and John White on 13 December, 2013, which I have attached (marked as 01 and 02, respectively). These letters were in response to my brother's correspondence to Beauchamps of 12 December, which was copied to the partners. In his letter Bowe refers to three of Mom's accounts that were not included in his 30 October letter to the beneficiaries. Ulster Bank Account No. 36044031. Ulster Bank Mastercard Credit Card. The financial account in the name of Ann Maxwell. I have already spent a considerable amount of time in consultation with Ulster Bank in trying to identify any such account but in the absence of a sort code, an address or the account name, it is impossible to proceed further. In my letter to your sister Mari of 13th December 2011, I particularly asked her to send me any further information or documentation she might have in relation to your mother’s assets or affairs. This was not forthcoming. The Ulster Bank Credit card statements have been requested by me on three separate occasions but have yet to be furnished. It was my intention to circulate copies upon receipt. I contacted the financial institution yesterday (and I have written to them again today) stressing the urgency of the situation. Concerning the Ulster Bank Account 36044031, Bowe seems to be blaming me for his inability to find and produce information concerning that account. Bowe, yet again, proves to be a liar. Bowe never sought information about that account from me. He didn't need to. That account was listed on the Inland Revenue Affidavit prepared by Bowe, John Cunningham, and Onan Maxwell that was sworn on 30 March 2011. My knowledge of that account comes from that Affidavit and information given me in a recorded telephone conversation with Bowe on 15 March, 2011. I understand there was not a huge amount of money in that account at the time of Mom's death. Obviously, because it appears that Bowe's client and co-executor was stealing tens of thousands of Euros from Mom's accounts as she lay in a non-responsive and/or non-lucid state in the hospital, I am less concerned about the amount in the account at the time of her death compared to what transpired in that account in the years before her death. It is hard to not conclude that Bowe is seeking to hide this account from scrutiny, given his obvious prior knowledge of it. Likewise, Bowe's contention that he cannot access Mom's credit card records lacks credibility, given his three decades of experience as a professional solicitor/executor. Despite Bowe's promises (in several recorded conversations) to look at the charges on Mom's credit card, and to seek to have unauthorised charges returned to the estate, he has steadfastly refused, even in the face of incontrovertible proof that his client and co-executor Onan Maxwell was making unauthorised purchases while Mom lay in the hospital. In a phone conversation with my brother on 20 November 2013, Bowe gave him the understanding that he was refusing to provide information on Mom's credit card to the beneficiaries. It is hard to not conclude that Bowe is seeking to hide this account from scrutiny, also. Concerning the third item, the account in the name of Ann Maxwell, I don't know why Bowe is seeking that information from Ulster Bank. I never said the account was held in Ulster Bank. Bowe is wrong in his claim that the account is in “in a name other than the deceased”. Mom's name is Ann Dolores Maxwell. I believe this account was quite possibly the only account that Mom was able to keep from being ravaged by Bowe's client Onan Maxwell. Bowe has Mom's PPSN, and the knowledge that this account was active in at least 2009. He has had this information for over two years now. Once again, his claim that he is unable to produce any information regarding this account is not credible. Bowe is also lying with he claims that “In my letter to your sister Mari of 13th December 2011, I particularly asked her to send me any further information or documentation she might have in relation to your mother’s assets or affairs. This was not forthcoming.” I have attached my response dated 09 January 2012 (designated 04), in which I do give him information regarding Mom's affairs. Yes, Bowe lied to me yet again. Although he stated his intention to the Tribunal to instruct other solicitors to administer Mom's estate, and claimed in this letter that they were in place, his statements were patently untrue. This letter to me is attached (designated as 03). I note that this email from Sophie was also a subject of a recorded conversation I had with Bowe in 2011. The letter from Sophie was actually centred on Mom's post-mortem (she was under the mistaken impression that there was a cost for it) and not the issues Bowe seeks to assign to it. Of course, if Bowe was constrained from seeking Mom's financial records as he had promised because of this email of 2010, he has yet to explain why he continued to promise the same up until the Grant of Probate in mid-2011. John White has not responded, as of yet. Bowe once again misinforms my brother. Dolores-Maxwell.com is not my website. I must bring to your attention once again that Beauchamps remains in non-compliance of Section 68 of the Solicitors (Amendment) Act. Now, for the third time, as you are a liable partner of Beauchamps, I am requesting that you fulfill your obligation under Section 68 immediately. With the exception of John White, I have copied this letter to the partners of Beauchamps. I have also provided it to Dolores-Maxwell.com, as usual. We find Bowe's attempt at managing this unraveling situation by telling a series of lies about Saoirse to be extremely poor form, although consistent with past behaviour. This is not by any means the first time Bowe has sought to mitigate his own actions by disparaging and lying about Saoirse. He did so to the Solicitors Disciplinary Tribunal, and he has done so to other beneficiaries of Dolores' estate before. His attempt to sell this unbelievably low–rent carcass of lies to Saoirse's siblings makes us wonder what sort of narrative he has tried to peddle to others regarding this situation. We wonder for instance, what propaganda has spewed forth towards the partners in his firm regarding his actions. We are curious; do they cringe when yet another of his lies is exposed? Bowe is a consultant to the firm—an employee. Although Bowe on occasion identifies himself as a partner, he is not, according to both Beauchamps' publications and Bowe's statements himself. It does lead to some interesting speculation as to why the partners have yet to take action. Meanwhile, Bowe is truly the gift that keeps on giving. Let us now delve a bit into this letter. Bowe can't find this account because there is no sort code to lead him to the proper branch? Poppycock. Ulster has ten branches in Dublin, one in Wexford. He has the account number—eight digits, that means a hundred million unique numbers. Surely Bowe isn't suggesting that there are a plethora of duplicate account numbers in a country with a population of less than five million people? No account name or address? How many Dolores Maxwells are there in Ireland? Probably more than a few. How many Dolores Maxwells have the same PPS number as our Dolores? The answer is precisely zero. The same value we assign to the credibility of Joe's assertions. Well Joe, we've reviewed the recording, and you certainly knew what branch the account was in on 15 March 2011. You knew to the cent how much was in it, too. You knew what name it was under. And you damn well knew the account number two months later when you filed the Inland Revenue Affidavit. That's right, tell Saoirse's brothers and sisters it's all her fault that you can't come up with that account. What preposterous twaddle. Do you have some vague notion that you will bill the estate because “I have already spent a considerable amount of time in consultation with Ulster Bank in trying to identify any such account”? Please explain to us how you are not flirting with fraud. 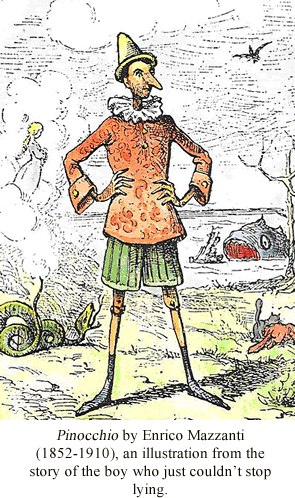 We strongly caution the reader not to see Bowe's “inability” to “find” an account that he had already declared to Probate and Revenue as the actions of an incompetent, bumbling simpleton. No. We think the reader may be better served by pondering whether there might be very good reasons for Bowe not wanting any light shown into this account, even to the point of denying its existence. Bowe has been aware for nearly three years now that his client and co-executor Ethan Maxwell was making unauthorized use of Dolores' credit card. And now he is “stressing the urgency”!? 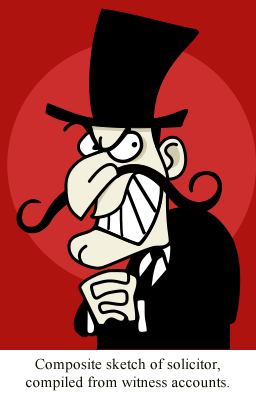 Perfidious bunkum. In our view, Bowe has again absolutely zero credibility in this. Let us not forget what Bowe proclaimed three months after Dolores died. Given Bowe's complete resistance and failure to address these crimes committed by his client Ethan Maxwell against his client Dolores Maxwell, we are compelled to consider what reasons Bowe might have for keeping these records hidden. We have seen a portion of the few financial records retrieved from the back of Dolores' fireplace, and stuck to the bottom of her rubbish bin after Ethan attempted to sanitize Dolores' house. And guess what. The Ulster Bank credit card statements were provided with the bank statements, as part of the bank statements. Come again, Joe? 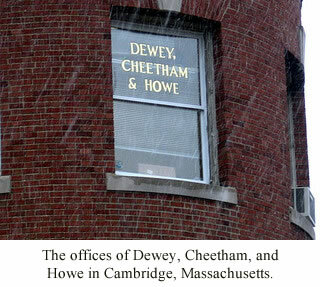 With sixty years between them as professional solicitor/executors it is simply not credible that Cunningham and Bowe could not locate Dolores' account that is in her given name, Ann Maxwell. And once again, Saoirse never stated or implied that this account was in Ulster Bank. Perhaps Bowe is looking for this account in a place he knows he will not find it. There are only so many banks, credit unions and State savings institutions in Ireland. And to Saoirse's brothers and sisters, Bowe explains away his inability to do his job as being Saoirse's fault? Of course, Saoirse did indeed provide Bowe with information as per his request for information regarding the assets and affairs of her mom, on 09 January 2011. Two years ago. A lot of that information concerned Dolores' gravesite, an asset, and the false charges entered on the Inland Revenue Affidavit for a headstone. What has Bowe done in the interim two years with the information he requested? Well, of course. In an extraordinary display of hubris, he denied ever knowing about it. Again, well played, sir. And to this day, Bowe and the other executors have refused for two years, despite numerous requests from various beneficiaries, to explain how that multi–thousand Euro charge for a headstone, assigned to a company that never did any work or service for either Dolores or her estate, came to be on the Inland Revenue Affidavit. Nor have they answered the simple yes or no question: Did the executors pay anything from Dolores' estate towards this charge. FFS. Bowe implies to her brothers and sisters that Saoirse should do his job and find the particulars of this account and hand that information over to the executors. We have no doubt she could find it. We doubt it is in her interest, or in the interests of the other beneficiaries, to then give that information to Bowe and Co.
A few days later, Joe went down to Wexford to open the box. He didn't inform Saoirse of his trip. What he did do was schedule an email to be sent to her from Beauchamps five hours after he had left for Wexford. The email explained that by the time she read it, he would already be down there. We submit that none of the beneficiaries will ever know with confidence what was actually in Dolores' safety box. We will not say much about the email from one of Saoirse's sisters that Bowe attempts to use to explain away his less than stellar performance in the administration of Dolores' estate. We have seen his full letter, and he does quote verbatim a good portion of this email. At least up until he misconstrues it. We have also heard the audio recording of Bowe discussing this email with Saoirse in early 2011, along with Bowe's perplexity over some of the um, expenses the writer of this email was claiming for attending her mother's funeral. That said, this email was written over three years ago, two weeks after Dolores died. If Bowe is relying on things like this email to justify his administration of Dolores' estate for the past number of years, it seems to us to fall a wee bit short. No, in both instances of revealing details about this email (first to Saoirse, and almost three years later to other beneficiaries), we think it is very poor form. It also brings up professional confidentiality and privilige questions. Not that we would accuse Bowe of acting professionally. Saoirse asked Beauchamps for a third time to come into compliance with Section 68 of the Solicitors (Amendment) Act. Section 68 says that a solicitor has to tell his client in writing how much it's going to cost him. And if he can't, he has to provide an estimate, in writing. And if he can't he has to provide to his client, in writing, an explanation of what the cost basis is. 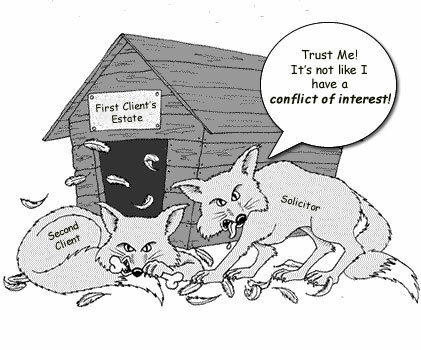 The Solicitors Act defines a client of a solicitor this way: “‘client’ includes the personal representative of a client and any person on whose behalf the person who gave instructions was acting in relation to any matter in which a solicitor or his firm had been instructed; and includes a beneficiary to an estate under a will, intestacy or trust;” We include that to forestall any vague notion that the beneficiaries are not clients of Beauchamps simply because Bowe has made that claim over and over. Beauchamps has no worries there. In three years they have yet to issue the first one. This stellar performance from Beauchamps has indeed been breathtaking. At least Saoirse has a good paper trail going, for sure. Wow. That is quite a value system being revealed there. Perhaps John should stick to PR events. Post by Beauchamps Leinster Schools Cup.